Transform your next generation of leaders from High-Potentials to high performance. Your High-Potentials, expect more than traditional training and development. C4H is the answer for high-performing employees who expect personalized, meaningful, and actionable professional development. 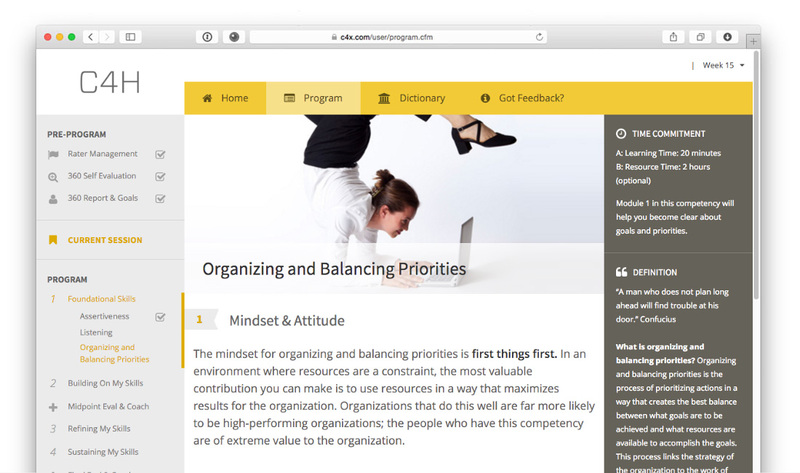 Participants receive weekly online working/learning sessions with the most up-to-date thought leadership on the three specific competencies they have chosen. 1:1 coaching sessions reinforce learning, application on the job, and real behavior change. Research shows that sustained change doesn't happen overnight. The incorporation of a progressive series of behaviors and practices to ensure the internalization and application of the target skill or competency.
" By using C4L and these techniques effectively it will help achieve a $30M+ growth over the next 3 years. " It begins with matching the client and coach. A 360 assessment is taken to identify the current skill set. The participant works with their coach and manager to set three leadership goals/competencies on which to focus. Actionable knowledge, resources, and tools are presented online to the participant each week. 1:1 coaching sessions reinforce program learning and transform best practices into on-the-job results. Our 360 contains both qualitative and quantitative data - the normative data contrasts individual results with thousands of leaders in our database. Through 1:1 coaching sessions, participants work with their assigned executive coach on specific behaviors that help them accelerate performance in their role. Personal and tangible guidance, no more "generic information." C4H is the most engaging, scalable solution to develop and align your next generation of leaders to company goals. Our fast and powerful online 360 gives you the right data to determine the learning goals and optimize the investment of time and resources. 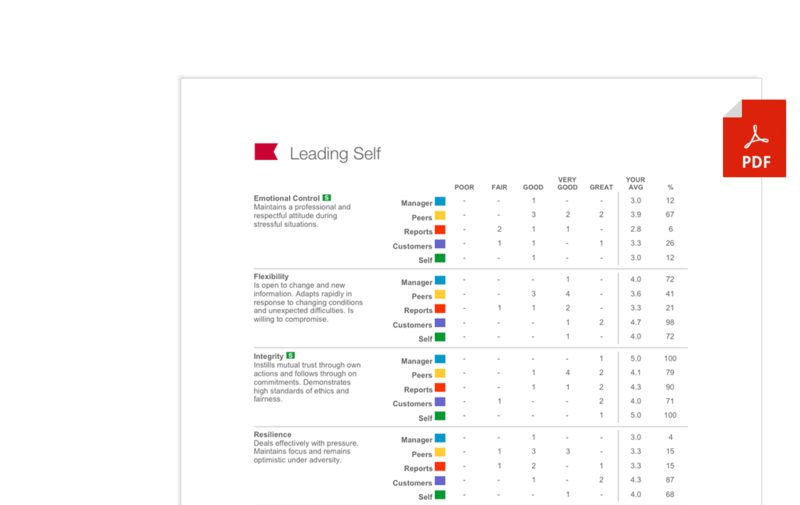 With our 360 Report, participants select from a deeply-researched and robust list of competencies and skills specific to their development and leadership needs. Live coaching sessions are provided with real-time feedback. It's the perfect balance of support and independence to keep leaders on track. The self-directed program can be tailored to meet individual learning needs, providing the right amount of resources to meet the time constraints of busy leaders. 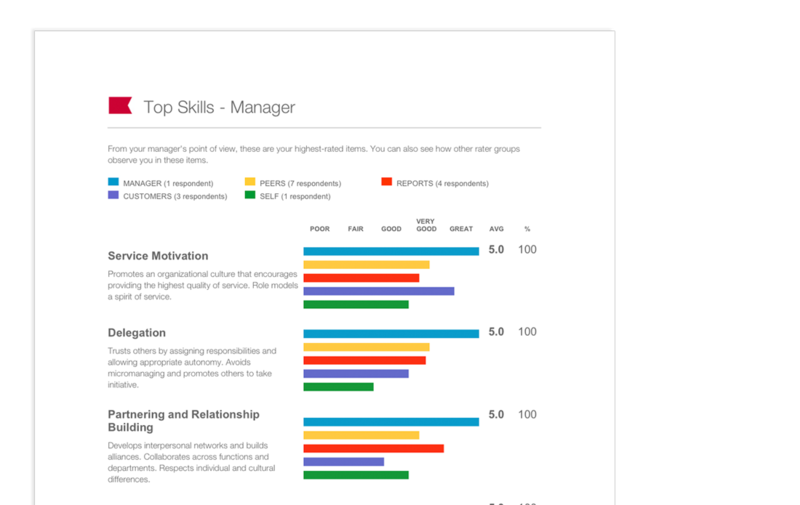 Provides organizations to see aggregate and individual data on participants with reporting tools and analytics from usage to skill development trends.